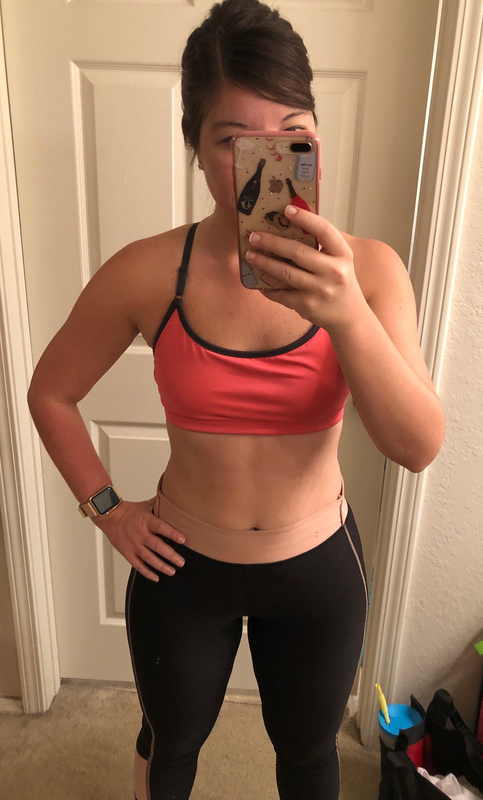 I just finished up Round 1 of FASTer Way to Fat Loss and I’m sharing all my results today! Well friends, not only did we make it to Friday, but I made it through 7 weeks of the FASTer Way to Fat Loss!!! When I first started the program I had my doubts that I would even be able to make it to the end- which I think is totally normal when starting something new! 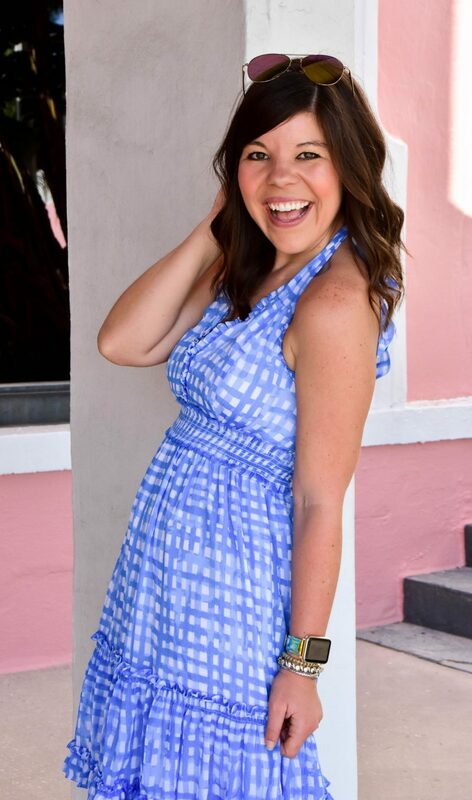 But as you’ll see throughout today’s post, this program is AMAZING and I cannot sing its praises enough! 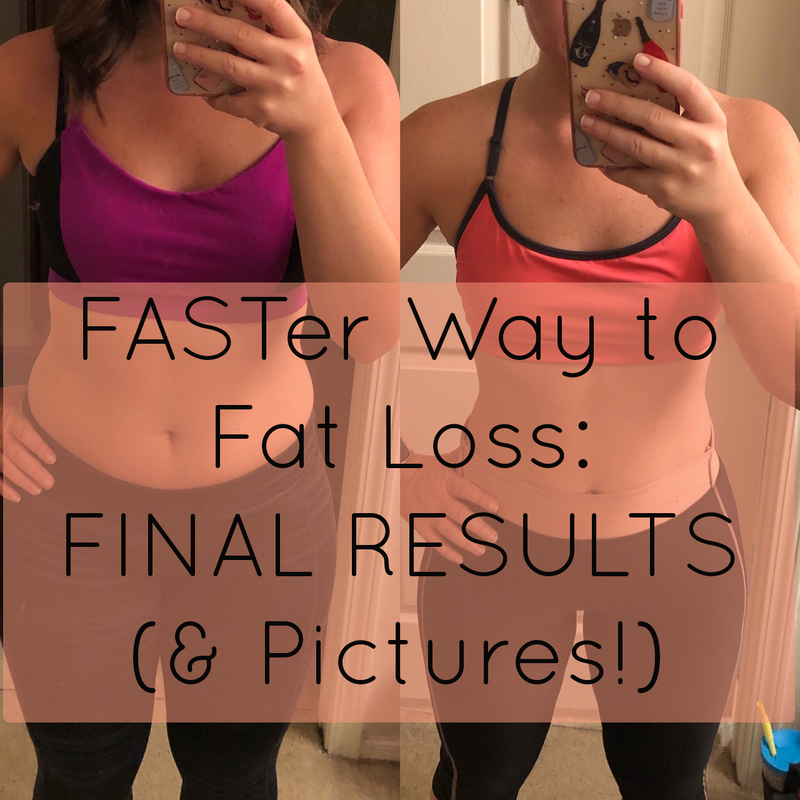 I’ve never been able to stick with a program like this before, but the FASTer Way to Fat Loss just works seamlessly into your life which makes it easy to stick with (& maintain)! Let’s start with the juicy stuff… how much weight did I lose? (I mean it’s what everyone wants to know right??) 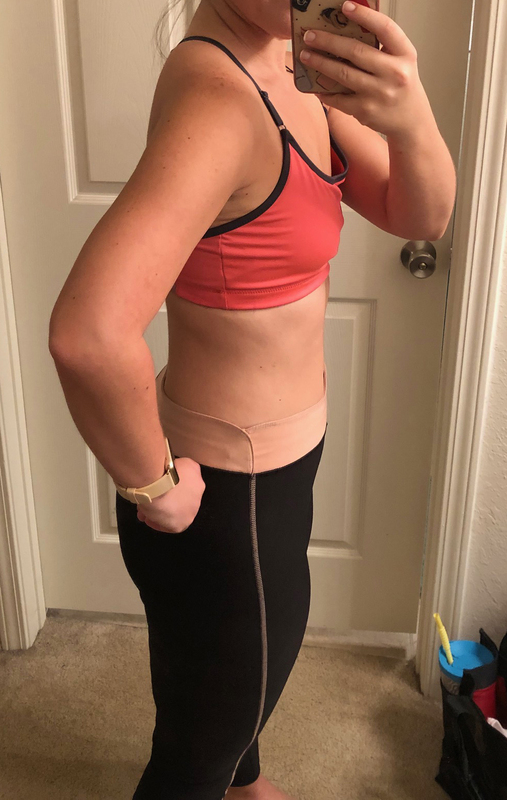 The truth is I don’t weigh myself & never really have, but I was diligent about taking my measurements during the program. 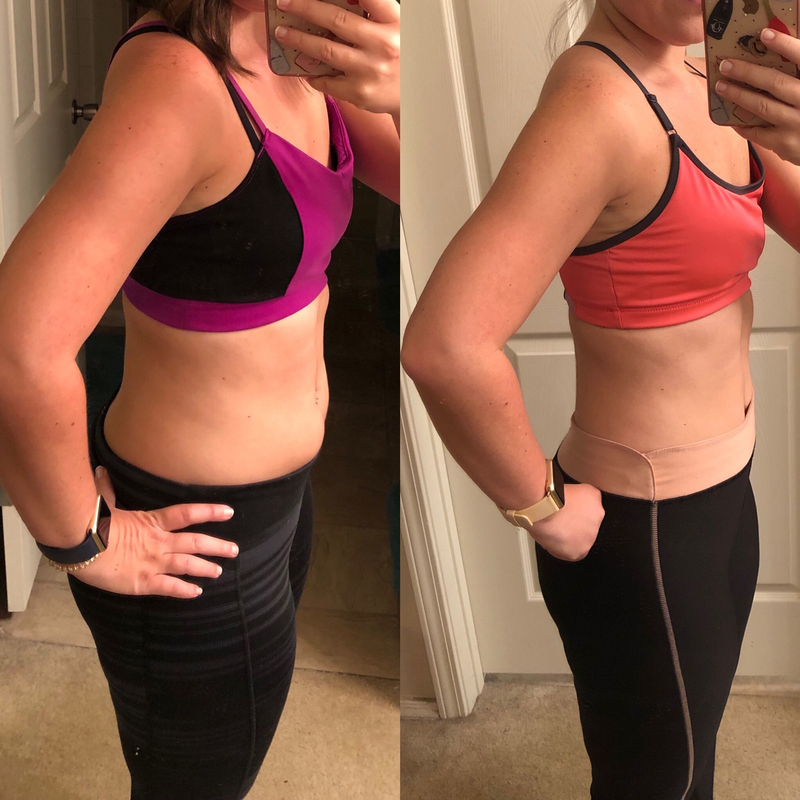 You can see below Day 1, and now day 49… what a difference right?? So what exactly is the program? What’s FASTer Way to Fat Loss all about? This sounds complicated! How do you have time for it?? This is the #1 comment/question I have gotten throughout the program! Counting macros sounds MUCH more complicated than it really is! We use a specific app in the program that calculates out your macro goals based on the day – then all you have to do is plug in what you eat and you can easily see if you’re on track for the day! The app does most of the work for you! Do I have to give up my morning coffee? Nope!!! Y’all I am a two-cup-per-monring girl and any program that asked me to give that up would not be for me! You can have 50 calories in the morning without breaking your fast, so I budget those calories for the creamer in my two cups of coffee 🙂 Don’t worry fellow caffeine queens- you can still drink away! Are there workouts associated with FASTer Way? So the program is built with coordinating workouts for each day based on what nutrients you are eating or not-eating that day. However, you do not have to do the workouts to see great results! I knew that it was going to take my full focus and concentration to be successful in round 1, so I gave myself grace if working out fell to the wayside. For most of the program I only made it to the gym 1x a week, but by nailing the nutrition component I saw BIG success! So what can you eat?? This is the best part of the program… you can eat anything!! No really… you can! There are no restrictions on what you can’t eat- if it fits in your macros it can fit in your tummy! While the FWTFL program recommends whole grains, veggies, fruits, etc I ate my fair share of cookies, cheese boards & wine! As with everything in life- it’s all about balance and portion control. For the most part I did stick to salads, quinoa, fruits, & veggies, but I still could enjoy brunch, girl’s nights, cocktails, dinner with friends etc! The program is not meant to restrict you- its set up to fit into your life and enhance your quality of life! Do I have to live near you to participate/have your coach? This is another great part of the program… you don’t have to live here to join me! All of the coaching is done virtually through FB, so you can be across the country and still get 1:1 coaching from Kristen (my coach!) The FB community is so encouraging & supportive and a great way to ask questions + get ideas for meal prep. Thank you so much for your support throughout this journey! Y’all have been so kind and the best cheerleaders! If I can help you at all please let me know! You look fantastic! Thanks for sharing – an inspiration to continue trying to eat better during this crazy season! Thank you so much!! It’s crazy what a different a few simple changes can make! These results are incredible Gentry! I’m so impressed and proud of you! I also appreciate that you shared measurements, which are far more of an accurate measure of progress rather than pounds. Go girl!